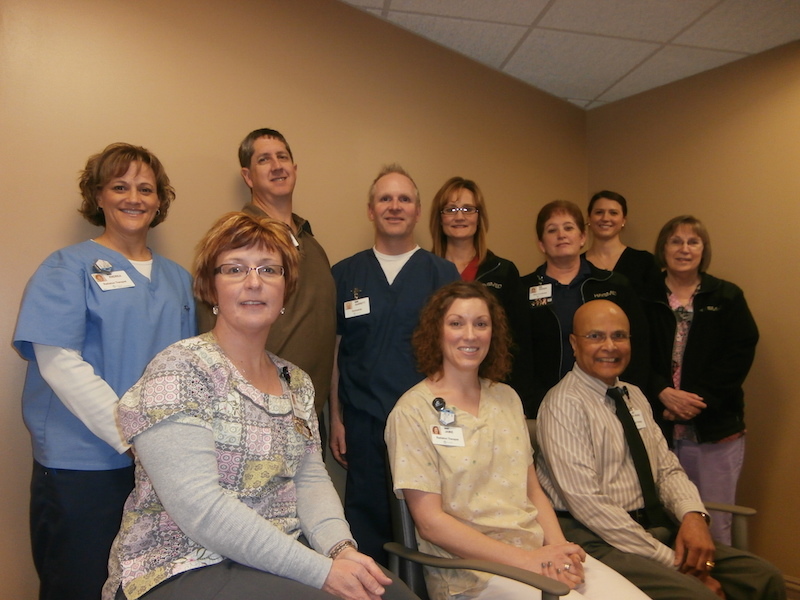 Hays, KS (Jan 30, 2015) – The Radiation Oncology department at HaysMed’s Dreiling/Schmidt Cancer Institute recently received accreditation for its radiation oncology program from the American College of Radiation Oncology (ACRO). This 3-year accreditation, beginning in April, was granted after a rigorous survey by ACRO, which involved a review of the facility and equipment, staffing, processes, patients’ charts and a site visit by members of ACRO. After the survey was conducted, the data was reviewed, and the HaysMed Radiation Oncology program was determined to be in accordance with the standards of the American College of Radiation Oncology. ACRO strives to ensure the highest quality care for radiation therapy patients and promote success in the practice of radiation oncology through education, responsible socioeconomic advocacy, and integration of science and technology into clinical practice.